Inspector CE Courses | Continuing Education for Licensing, Inc.
DON’T LET YOUR LICENSE EXPIRE . . . CLICK HERE TO REGISTER TODAY! Inspectors must complete 32 hours each renewal period. Effective September 1, 2017, all inspectors must complete Inspector Legal & Ethics (four hours) and Texas Standards of Practice Review (four hours) each renewal period as part of the required 32 hours. Do you want the ability to study on your own schedule? 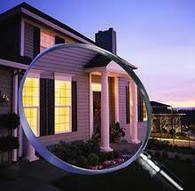 Our home inspection courses are self-paced, which means that you can study anytime, anywhere! The courses are offered strictly through distance education (correspondence) and include textbooks that will prove to be a valuable asset to you during your home inspection career. In addition, our courses provide you with a convenient method of satisfying your educational requirements. C.E.L.I. has been an approved education provider for more than 20 years. Students registering for a home inspection CE course are given 120 days from the date of registration to complete the course. The courses offered through Continuing Education for Licensing, Inc. (C.E.L.I. ), (provider #701040 and #10079) have assisted countless students with their home inspection licensing renewal requirements. Let us provide you with the tools you need to advance your career and order your inspection course(s) today! We look forward to the opportunity to serve you. As always, our business prides itself on outstanding student support. We are committed to your success and are here to assist you every step of the way.